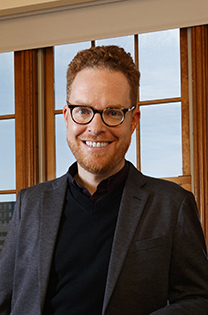 Andrew Jewell, Editor and designer of the Willa Cather Archive and Co-Editor of Complete Letters of Willa Cather, is a Professor in the University of Nebraska-Lincoln Libraries. Andy received his Ph.D. in American Literature in 2004 and has published on Cather, Walt Whitman, Mark Twain, and digital humanities and is co-editor, with Amy Earhart, of the book The American Literature Scholar in the Digital Age. He is the co-editor, with Janis Stout, of The Selected Letters of Willa Cather (Knopf, 2013), and the co-editor, with Amanda Gailey, of the journal Scholarly Editing: The Annual of the Association for Documentary Editing. He joined the Board of Governors of the Willa Cather Foundation in 2008. If you have any questions or comments about the Cather Archive, please email Andy at . 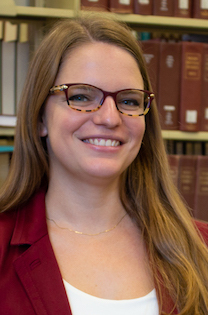 Emily J. Rau, Managing Editor of the Willa Cather Archive, is an editorial assistant for Western American Literature and a doctoral student at the University of Nebraska-Lincoln. Her research focuses on American literature of the long nineteenth century, interweaving those texts with the work of contemporary ecocritics and spatial theorists. She has an article in the summer 2016 Willa Cather Newsletter &; Review, as well as a co-authored piece with Gabi Kirilloff in a collection of essays on My Ántonia published in France, and has presented her work on Cather at multiple conferences, including the Association for the Study of Literature and Environment, the Willa Cather International Seminar, and Digital Humanities 2016. 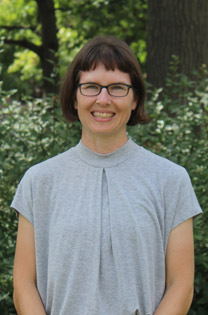 Melissa J. Homestead, Associate Editor of the Complete Letters of Willa Cather, is Professor of English and Program Faculty in Women's and Gender Studies at UNL. In her scholarship, she specializes in American women's authorship and publishing history from the Early Republic through the early twentieth century, and she teaches widely in American literature and women's writing. She is at work on a book, under contract with Oxford University Press, about the relationship of Willa Cather and her domestic partner and literary collaborator, Edith Lewis. Essays from this project have appeared in Western American Literature, Willa Cather: A Writer's Worlds (Cather Studies 8), Willa Cather and the Nineteenth Century (Cather Studies 10), and Studies in the Novel. Additional essays on Cather have appeared in American Literary Realism and Studies in American Fiction. She is the Project Director of a digital edition of Every Week Magazine (1915-1918), of which Lewis was managing editor, and co-edited Cather Studies 9, Willa Cather and Modern Cultures. Her extracurricular passions are bicycling, cooking, basset hounds, and cats. Kari Ronning, co-director of the Willa Cather Journalism project, joined the Willa Cather Scholarly Edition as assistant editor in 1990. Ronning also contributes to the Willa Cather Archive by writing annotations for the Complete Letters of Willa Cather. In addition to textual work, she was co-historical editor, with Susan J. Rosowski, of A Lost Lady, historical editor of Obscure Destinies, and co-editor of Cather's University Days. Ronning began work on Cather's journalism several years ago in the belief that more complete texts would enable us to learn more about what Cather was doing, thinking, and feeling in these formative years of her writing career. Simone Droge is a third-year undergraduate student at the University of Nebraska-Lincoln. 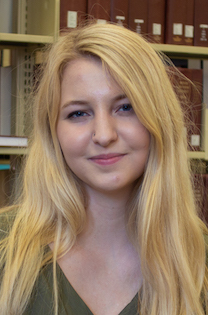 She is majoring in English and History, and minoring in Women's & Gender Studies and Digital Humanities. She works at the UNL Writing Center as both a consultant and a Writing Fellow, and is currently on the English Student Advisory Board. Her academic interests include legal history, 20th century American history, and rhetoric of women writers. After she graduates, she hopes to attend law school. Gayle Rocz is a third-year undergraduate student at the University of Nebraska-Lincoln, and she is majoring in both English and Dance. 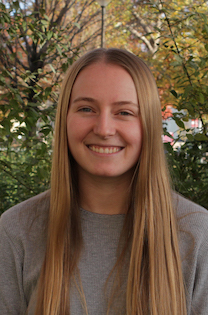 She has contributed writing to UNL's student newspaper, the Daily Nebraskan, interned at Prairie Schooner, and is actively involved in choreographing and performing for UNL's Dance Program. Her academic interests include research in feminist pedagogy for dance and the emerging field of youth competitive dance in the United States. Karin Dalziel joined the staff in Center for Digital Research in the Humanities at the University of Nebraska-Lincoln May of 2006 as a departmental assistant and moved into the Digital Resources Designer position in fall of 2008. In 2012, she became a Digital Resources Designer & Developer. Dalziel has several years of experience with design, web standards, encoding systems, and XSLT and works with team members to create attractive, accessible, and usable websites. She assists the Cather Archive in a wide range of technical and design issues. Dalziel received her Bachelor's in Fine Art from the University of Nebraska-Lincoln in May of 2006 and a Master's in Library Science from the University of Missouri-Columbia in 2008. She lives in Lincoln, Nebraska. 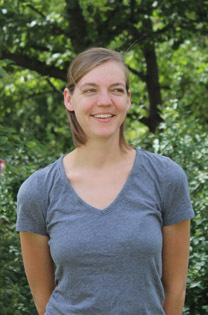 Jessica Dussault joined the Center for Digital Research in the Humanities at the University of Nebraska-Lincoln in October 2014 as a programmer and analyst. She previously worked on software, servers, and XML transactions at SEMCAT, an insurance software company. In 2012, she was the digital intern at the National Theatre Archives in London, UK. She assists the Cather Archive in a variety technical issues. Jessica received a MSc in Digital Humanities from University College London and holds a BA in Music and History from the University of Nebraska. She is a cellist with Lincoln's Symphony Orchestra. Greg Tunink joined the CDRH in December 2015. He previously did workstation management and support with Information Systems at University Housing as an undergrad and Linux full stack web development and server administration with a small business in Lincoln. He is a free/libre open source software and information security enthusiast. He assists the Cather Archive in a variety technical issues. 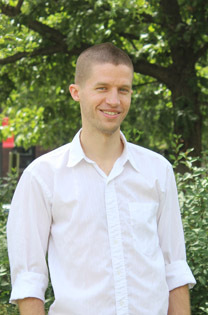 Greg received his Bachelor's in Computer Science from the University of Nebraska-Lincoln in August of 2009 with minors in Mathematics and Business. He also began practicing Shotokan karate-do at UNL in 2007 and has helped teach since receiving his black belt in June of 2012. 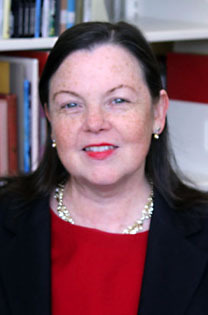 Katherine Walter is chair of the Digital Initiatives & Special Collections (DISC) department in the University of Nebraska-Lincoln Libraries, and co-directs UNL's Center for Digital Research in the Humanities with Kenneth M. Price. 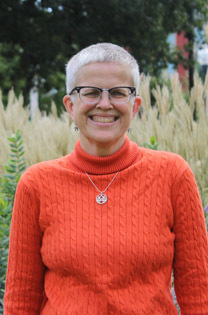 She also co-directs The Journals of the Lewis and Clark Expedition online edition, a joint project of the UNL Libraries and the University of Nebraska Press funded by the National Endowment for the Humanities Division of Public Programs. In addition, Walter served as co-principal investigator of the Virtual Archive of Walt Whitman's Manuscripts project funded by the Institute of Museum and Library Services for the Walt Whitman Archive. She serves the Cather Archive broadly through her leadership of digital initiatives at UNL and as a consultant on the Willa Cather Journalism project. Mark Madigan is a contributing scholar for The Complete Letters of Willa Cather. He has also identified people and places in many photographs from Cather's 1902 trip to France. He has made identifications and significantly assisted with descriptions to the following images: 242, 243, 244, 245, 246, 250, 252, 253, 254, 255, 256, 386, 386.1, 388, 389, 448, 477, and 479. He has also contributed information for the Bibliography of Translations of Willa Cather's Work. John J. Murphy has identified New Mexico churches appearing in Cather's photographs of the Southwest, including 2376 (with thanks to Marina Ochoa, Director of the Archdiocesan Museum in Santa Fe, New Mexico) and 2377. Brian Pytlik Zillig is Professor and Digital Initiatives Librarian at the University of Nebraska-Lincoln. His research is currently centered on textual analysis and visualization, and he is the creator of TokenX. Brian has developed a customized version of TokenX for the Cather Archive , allowing researchers to do sophisticated analysis of the entire corpus of Cather's fiction. Brian also advises and assists on many parts of the Cather Archive, particularly in the creation of XSLT stylesheets. 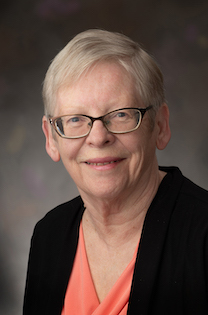 Janis P. Stout Co-Editor of Complete Letters of Willa Cather, is a Professor Emerita of Texas A&M University and Co-Editor of A Calendar of the Letters of Willa Cather: An Expanded, Electronic Edition. Her publications on Willa Cather include Willa Cather: The Writer and Her World (2000), A Calendar of the Letters of Willa Cather (edited; 2002), Willa Cather and Material Culture: Real-World Writing, Writing the Real World (edited; 2004), and Picturing a Different West: Vision, Illustration, and the Tradition of Cather and Austin (2007). She has also published on Katherine Anne Porter and on American and British poetry and the culture of the two world wars. She was co-editor, with Andrew Jewell, of The Selected Letters of Willa Cather (Knopf, 2013). Jessica Tebo (editorial assistant for The Complete Letters of Willa Cather) 2016-2018.